Anyone who was a member of the military or had been honorably discharged at the time of death is possibly eligible for a number of benefits. A United States flag is provided, at no cost, to drape the casket or accompany the urn of a deceased Veteran who served honorably in the U. S. Armed Forces. 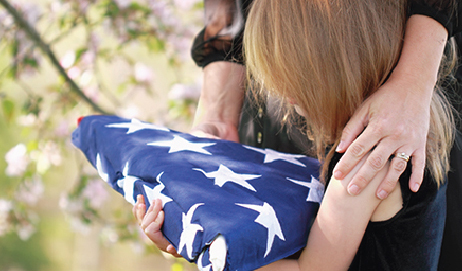 The funeral director can assist with getting a burial flag when furnished with certain documents. As a veteran, your deceased loved one may be eligible for burial in a Veteran’s Cemetery when space is available and with proper documents. We can assist in making those arrangements while discussing your options for a burial or inurnment in a Veteran’s Cemetery.